#1 Lime Shooter - I'm biased when it comes to sour stuff, the shooter is so sour it woke me up. Yay. This is a revamp of Franco (I did not enjoy during Franco days). 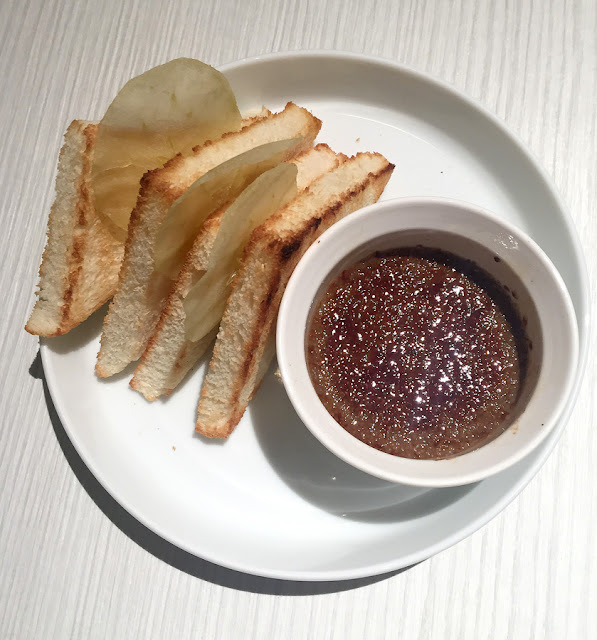 6 courses for RM78 with some hits and misses. 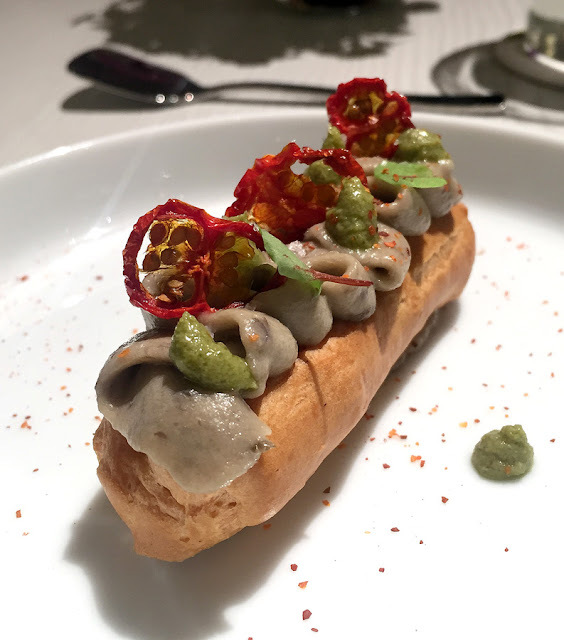 #2 Savoury Eclair - Very daring move but I did not enjoy. Luckily the portion is very small, as it was quite difficult to finish. The eclair was rock hard, like a crunchy savoury biscuit. Nay. 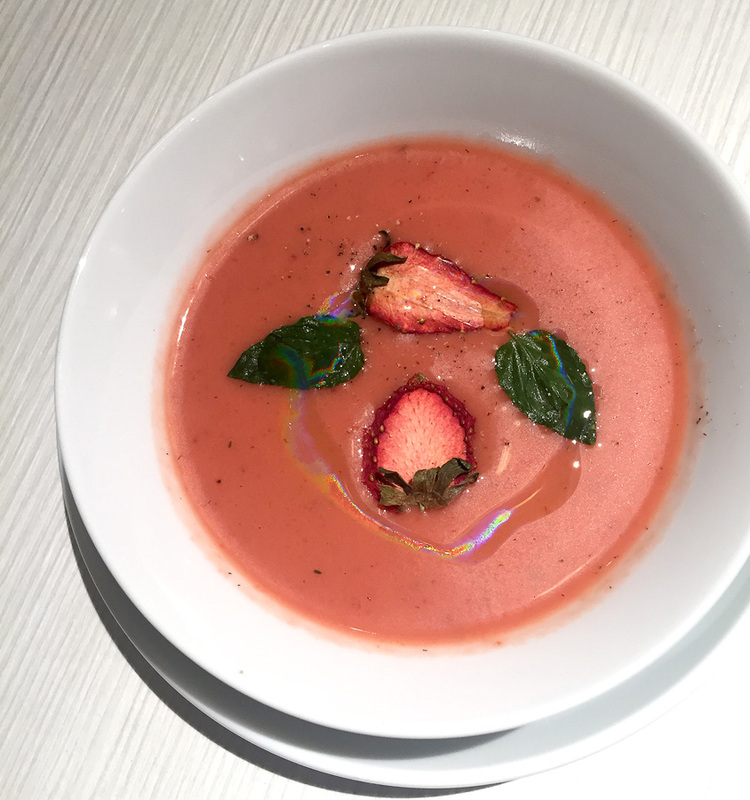 Strawberry Gazpacho - This is one unique soup that not everybody may like it. I suggest servers to stop introducing this, as it may not be of everyone's taste buds. cold, sweet, savoury, I didn't think this was amazing. I like my soup hot. Nay. 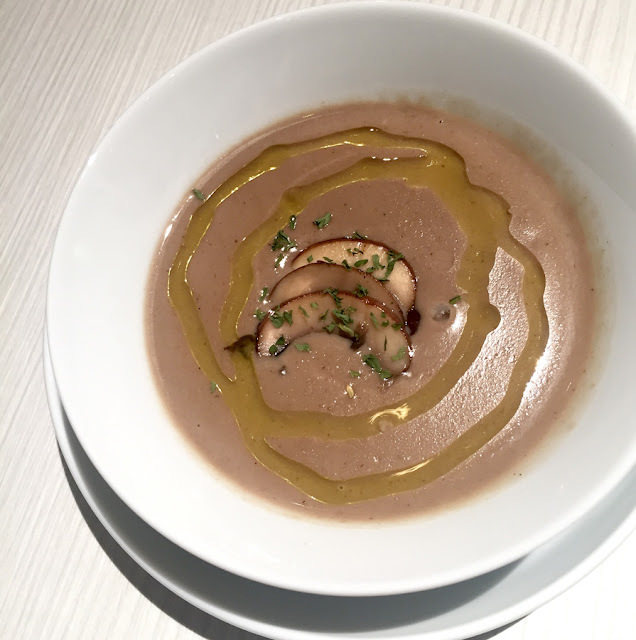 Truffled Mushroom Soup - It's actually very truffled! 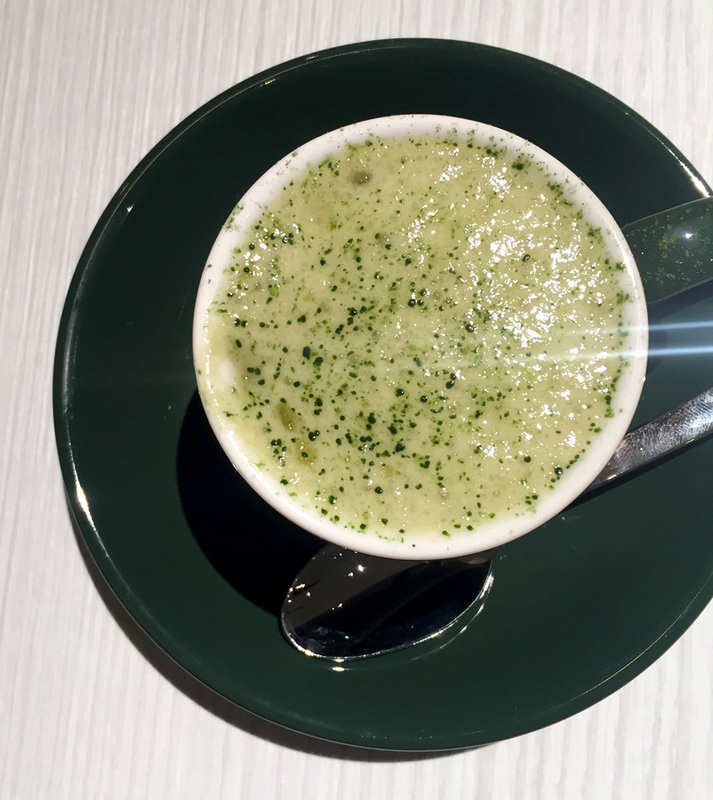 Very generous amount of truffle oil in this dish, would definitely recommend this soup. Yay. 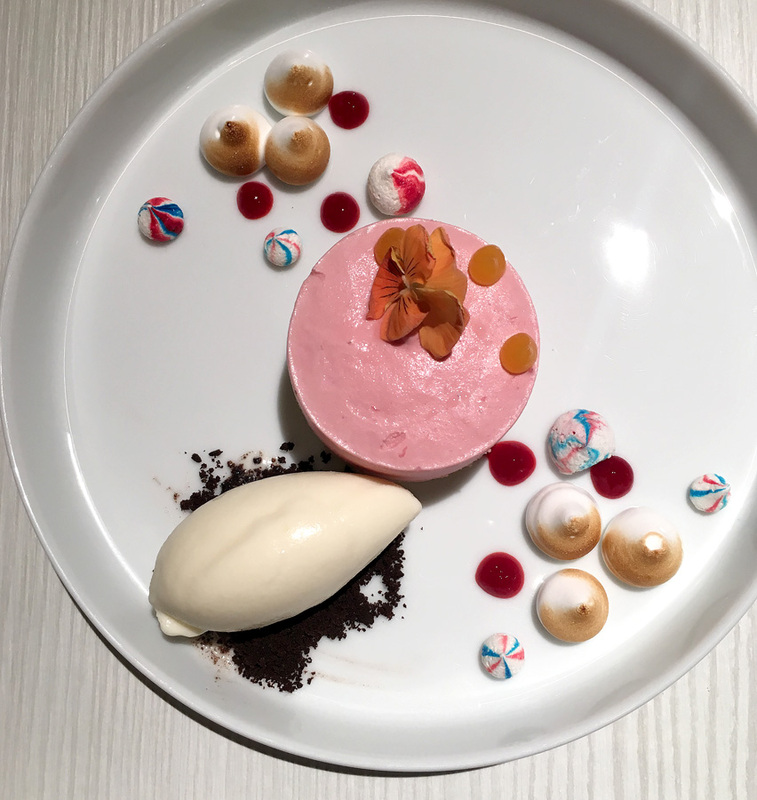 Savoury Ice Cream Salad - Savoury ice cream salad. It was sea salt ice cream if I remember correctly, I think I like my ice cream stand alone. Did not like the combi. Ice cream melted way too fast - extremely small scoop. Nay. 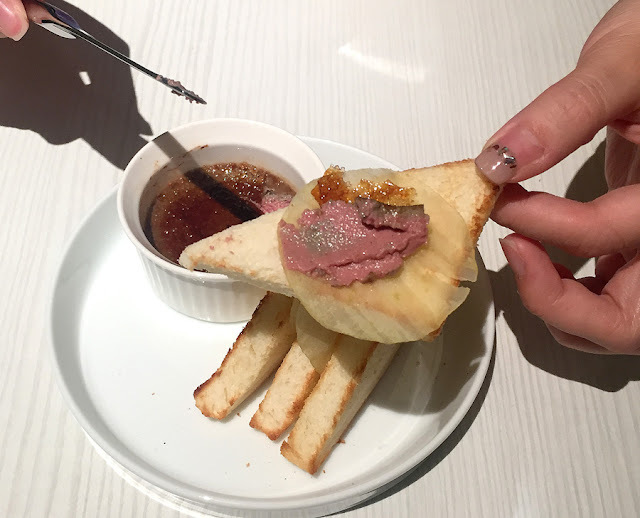 Chicken Liver Parfait - I thought the parfait was amazing, but the bread looks horribly ugly. Typical Gardenia bread. If it was served with a nice sourdough / ciabatta would have made the dish look a lot more classier. Parfait Yay, bread Nay. Salmon - Sous vide salmon was surprisingly very good. I've expected it to be "just another salmon", but it was done just right. Very tender and lightly crisp on the skin. Did not think the squid ink hollandaise was necessary. 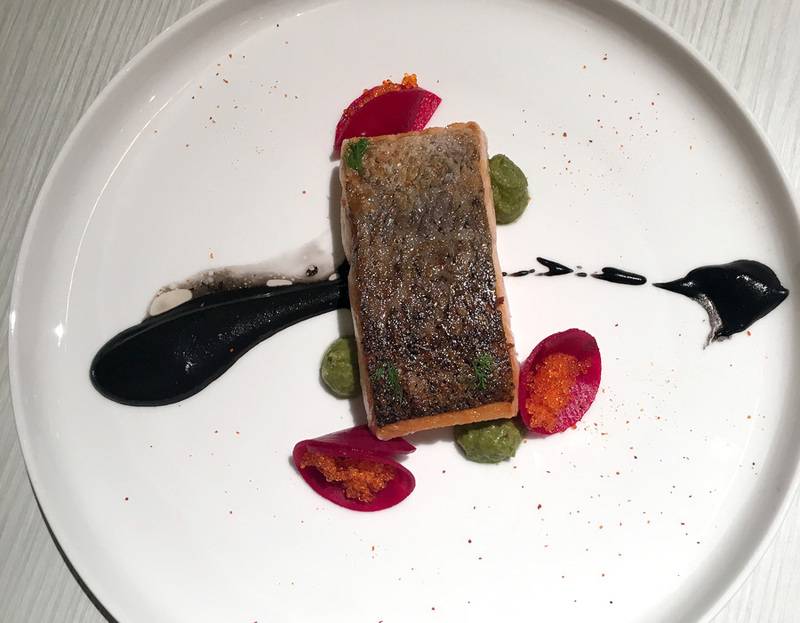 I wouldn't mind ordering just the salmon alone if they have an ala carte menu. This was prolly my fave for the night. Yay. Squid Ink Rice - This tasted absolutely familiar, like the black rice in Franco. Just that it's an upgrade with fresh seafood. Large prawns, very properly done & fluffy omelette. 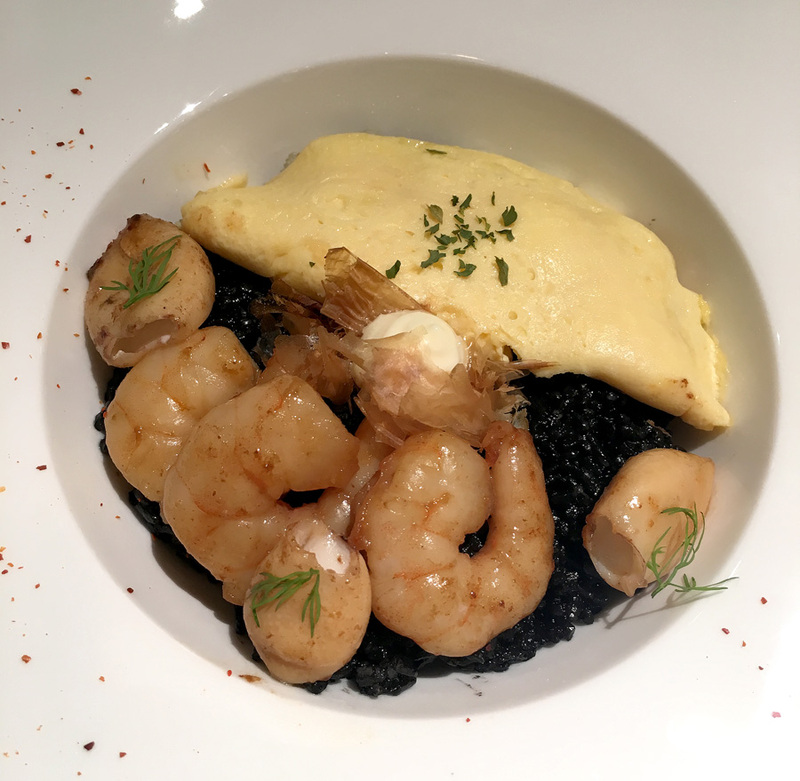 The rice was a bit too bland though, would have scored higher points if it could use a proper arroz negre recipe, where every spoon of black rice has fragrant seafood taste. Seafood & omelette Yay, rice Nay. 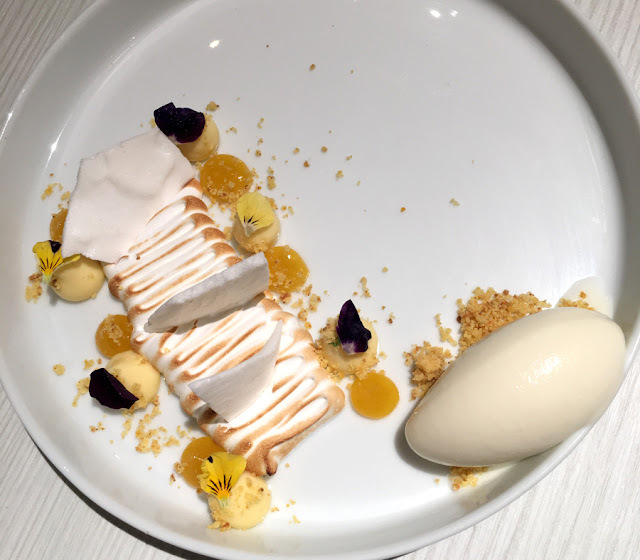 Deconstructed Lemon Pie - The sourness was goooood. Super lemony flavoured dish! Very good sour and pretty dish to end. Yay. Raspberry Decadence - This was alright too though bit mild raspberry. Not too bad. Partial Yay. 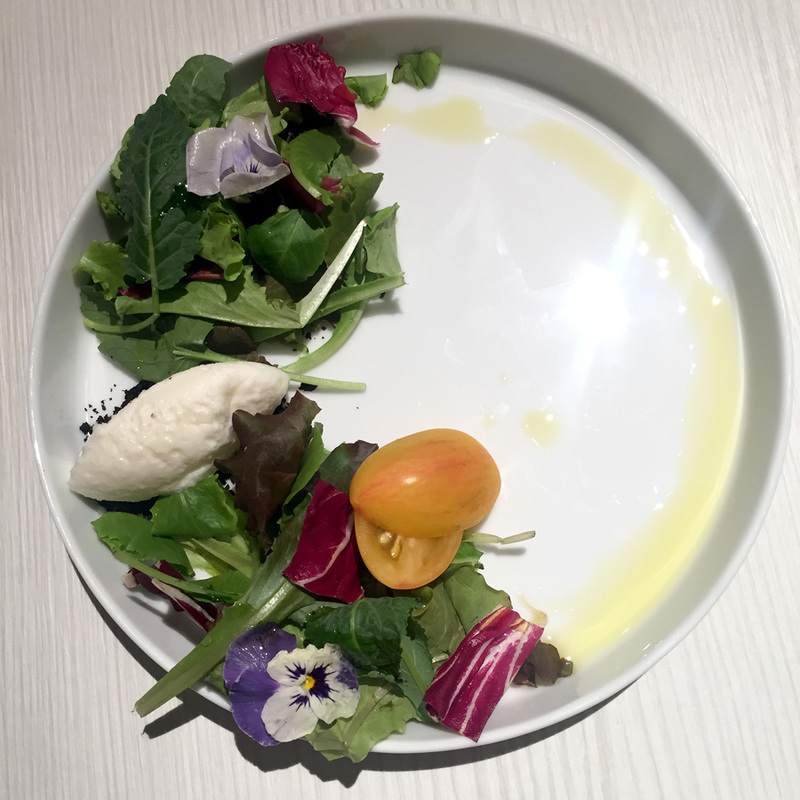 To those who thinks this is fine dining - this is not. It's just casual dining, no dress code and they are quire relaxed about it. Good effort in plating though. Dislikes: More misses than hits. Rather have ala carte than fixed sets.